Just how do you measure the health of a Spanish football club? A look at the balance sheet perhaps? Well such a glance is not for the faint-hearted, as intensive care is overflowing with critically ill clubs, who have disregarded their financial well-being for far too long. No, by far the most reliable barometer is to take a look at the reserve side. A flourishing second-string reflects well on a club's investment in youth and, in these fiscally challenging times, it provides a pathway to the future. 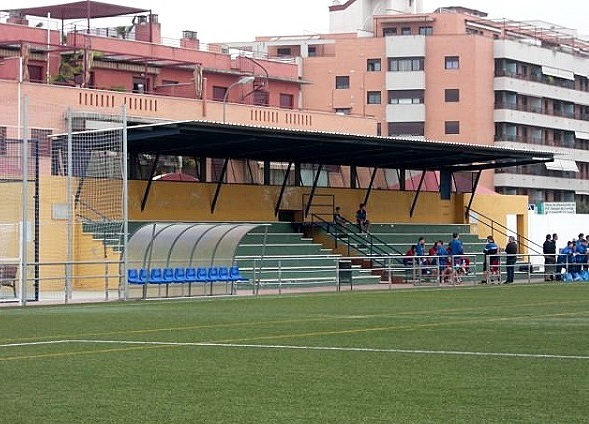 One club that has seen their prudent investment in youth reap recent dividends is Granada Club de Fútbol, whose reserve side has just won promotion to Segunda B for the first time in its surprisingly lengthy history. Granada's reserve team can trace its history back to 10 July 1947 when the club, reflecting on its recent relegation from the La Primera, decided to ditch the informal agreements with local junior sides that saw them get first pick of the best players. In its place was formed an official reserve team that took on the title of Club Recreativo Granada, a nod to Granada CF's original name that had lasted until 1940. The newly formed club also adopted their parent club's original colours of blue & white stripes. With the first team firmly entrenched in the southern section of La Segunda, Recreativo went about their business in the regional leagues, eventually winning promotion to the Tercera in 1950. 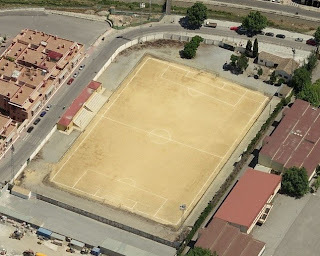 There followed 18 successive seasons in the Tercera and, whilst they never looked likely to win promotion (A fourth placed finish in 1956-57 was as good as it got), it took the reorganisation of the league in 1968 to bring their run to an end. Recreativo bounced back for two more seasons in the Tercera at the start of the 1970's but, ironically as the first team enjoyed its best ever run in La Primera, Recreativo spent the 70's in the regional leagues. 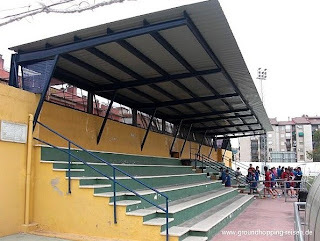 Recreativo Granada made it back to the Tercera for a two-season sojourn in the early 1980's, but a further decade past before they would return, this time under the new moniker of Granada Club de Fútbol B. Here the club would play out six of the next seven seasons, before a downturn in the first team's fortunes lead to the inevitable decline in the form of the Reserves. 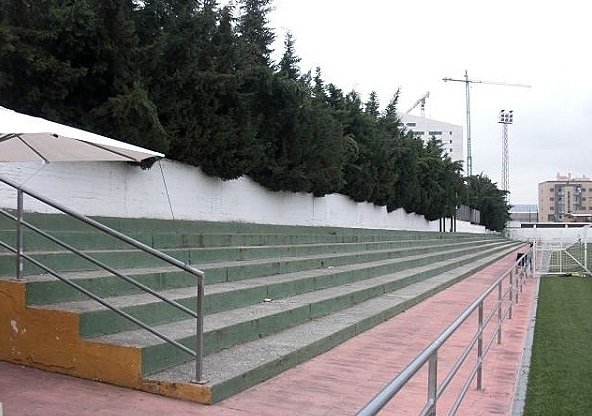 Granada B rattled around the regional leagues of Andalucian football for the better part of a decade and a half, dropping as low as the Regional Preferente or Level Six for two seasons between 2002-04. However, promotion back to the fourth tier in 2012, was followed by a best ever Tercera finish of third in June 2013. Entering previously uncharted territory, Granada B equipped itself remarkably well, seeing off the challenges of Trival Valderas, Cordoba B and UD Extremadua, thus maintaining the feel-good factor that prevails around Granada CF at present. Granada CF B call the Campo Miguel Prieto Garcia home. 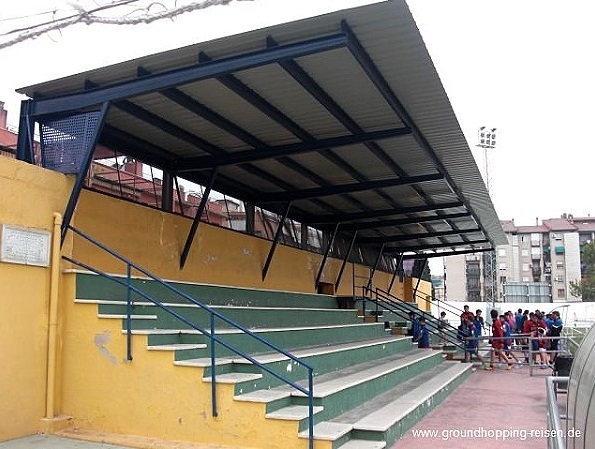 It is owned and run by the Real Federación Andaluza de Fútbol, and was opened in 1966. 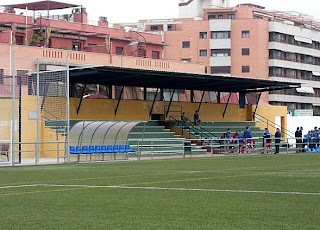 The club moved here in 1997 following the closure of the old Los Cármenes. Until five years ago it had a dirt pitch and looked rather sad and run down. Thanks to an injection of €600,000 in the summer of 2008, the enclosure looks a lot more presentable, with improvements to the changing facilities, fencing and floodlights, topped off with a state of the art artificial surface. A new propped cantilevered roof was added to the west side in 2012, which houses the grounds only seating. With a capacity of 2500, it will stage the majority of the reserve team fixtures during the 2013-14 season, but should the the B team need a bigger venue, they wont have far to travel. The Campo Miguel Prieto Garcia stands just 750 metres to the west of the mightily impressive Estadio Nuevo Los Cármenes.